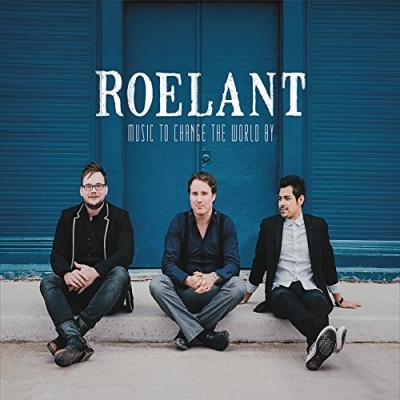 Revolution House Records have released Roelant's new single, 'Elephant', from their debut album, 'Music to Change the World By'. Roelant's first two singles, 'Staring at the Sun' and 'Soda Pop Kids', charted on Billboard Christian charts, with their SPK reaching as high as number 3 on the charts. The song is about addiction, something that is often considered “the elephant in the room”, because it is so prevalent in our society and often isolates us but is most times not directly dealt with. It’s a cry for help, a prayer for deliverance in the midst of what can feel like overwhelming darkness. The song has an ethereal feel to it that plays into the sense of addiction being so attractive and seductive. The song, and chorus specifically, have almost a mesmerizing quality to it that invites you to drink the truth of the song in more deeply. We hope the song impacts people by allowing them to deal with their issues in a manner that can bring clarity and hope.